Greg Lucas’ Wrestling with An Angel: A Story of Love, Disability and the Lessons of Grace is one of the top 5 books I have read over the past 12 months. Few books are able to take the reader on a journey further into the Gospel as you move through their pages. Wrestling with An Angel was one of those books for me, and if you read it, I think it will be one of those books for you. 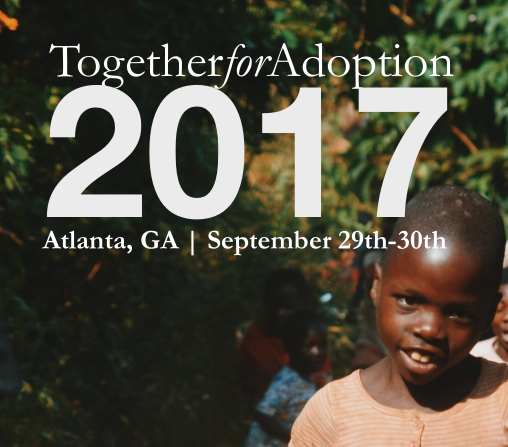 As soon as I read it, I knew I wanted to interview Greg for the benefit of Together for Adoption readers. So, I shot Greg a quick email asking if he would allow me to interview him, and he graciously agreed. Greg, one of the things I appreciated most about your book is that you do not mention that Jake was adopted until chapter 7. As I read chapters 1-6, I only thought of Jake as “Greg’s son.” I think there is a temptation among Christians to think of adopted children as just that, “adopted children,” rather than as “their children.” Did you intentionally not mention Jake’s adoption until late in the book? Many people who have read the book have commented on how surprised they were when they came to chapter 7, telling me it was a very strategic writing move to place Jake’s adoption story there instead of at the beginning. I’m glad it worked out that way for the reader, but actually there was no strategic intention to place it later in the book. Truth is, Jake’s story was never meant to be about adoption. I placed that element in the story simply to stress his weakness and vulnerability matched with God’s sovereignty and providence. However, I am glad that it ended up being a powerful point of Jake’s “sonship” both in our family and in God’s adoption. To be transparent, I have always wondered what our biological children might have looked like, acted like or what character traits they might have shared with my wife and myself. But that thought is fleeting because I could not imagine a child, biological or not, having more impact on my life than Jake. Having made that point, I do not intend to make the other points irrelevant. 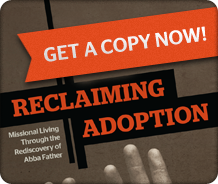 His adoption is significant and his disability is significant, but his sonship is primary. He is my son, who happens to be disabled, who came to us through adoption. I think that is our story too. God is glorified in our adoption and His strength is magnified in our disability, but we will forever be known as “sons” (Galatians 4:4-7) and we will receive an eternal inheritance as “first born sons” (Ephesians 1:3-12). Is it accurate to say that suffering has been the occasion for you to grow in the gospel and that the gospel has increasingly become what God has used to sustain you in your family’s suffering? That is very accurate. However I should probably add that suffering has not just been an occasion to grow in the gospel; suffering brought me to the gospel. My testimony in a sentence is that a two year old, non-verbal, developmentally disabled, autistic boy with a seizure disorder led me to Christ. I think one of the great common tragedies of Christian life is that we tend to view the gospel as the means of getting into the family and out of danger (sort of like an escape clause) and then once we are safe within God’s promises, we are tempted to rely on something other than his grace and mercy to sustain us. But Jesus’ life, death and resurrection are not just a prelude to the story. God’s mercy and grace are not just elements of the story. The gospel is the story! It is the story of our lives from beginning to end and it is the story we will tell of and celebrate all through eternity. The gospel fixes our separation with God, but it doesn’t end suffering–not yet anyway. We didn’t just “trust Jesus” and get everything in our lives fixed. Jake was never healed, our marriage was not instantly made perfect, our lives were not suddenly free from stress and anxiety, but our family was forever changed. That change is still going on today and we still have seasons of great suffering that continue to lead us back to the great story of the gospel. What are some ways that the gospel has become more precious to you through your experience with Jake? The more time I spend with my son, the more of the gospel I understand. His helplessness and inability to comprehend, point me to my own helplessness and inability to respond to the gospel or do anything apart from Christ. His often violent opposition and defiance to my loving care, point me to my own opposition and willful defiance to be loved, cleaned and cared for by my heavenly Father. His disabilities, which often cause a great strain in the relationship of a father and son, point me to my greatest disability, the sin that so often inhibits my relationship with God. Everything in Jake’s life flows from helplessness to grace. Apart from continual care and love he would not thrive–he would not survive. That’s the gospel for all of us! Apart from Christ we are not only disabled, we are helpless and hopeless. God has placed a continual and steadfast reminder of the gospel before me in the life of my son. Jake is one of the greatest preachers of the gospel in my life today. What impact has your book had upon readers? Are people sharing with you how God is using the book in their lives? The response has been so amazing and so humbling. I initially wrote this book for myself, as an outlet for all that we were dealing with as a family. It was a tool for me to vent my frustrations and to remind me of God’s grace and faithfulness. And then God began to sovereignly drop it into the hands of so many struggling and suffering families. People who had literally never read a book before were emailing me telling me that they had just finished reading Jake’s story. The mayor went on to purchase and give away over three cases of the books to other political dignitaries and influential leaders. There are dozens of other stories like that and many others that will be untold until we reach eternity. The point is, we all have a story of grace to share with the world. And we will never know what God can do with that story until we begin to tell it one person at a time. 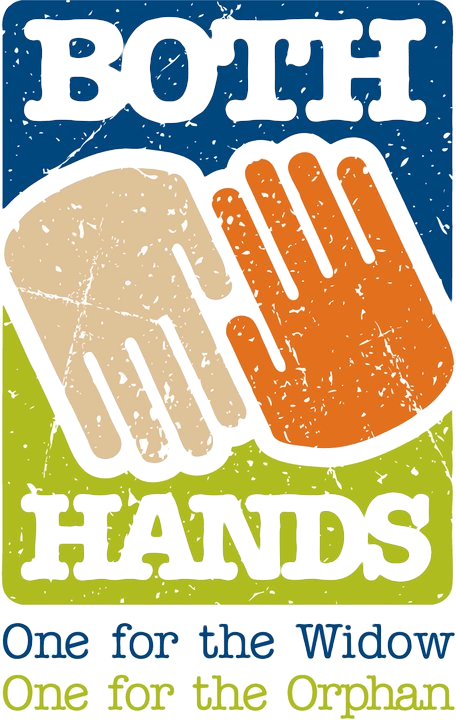 What counsel would you give to couples that are considering adopting a special needs child? In reality, I have very little counsel to give to couples that are considering adopting a special needs child, simply because we never considered or intended on adopting a special needs child (insert ironic laugh). My wife and I are not heros who compassionately chose a disabled boy to be our son. We prayed for a child and God sent us Jake. Then he sent us two brothers, Noah and Aaron. Then He sent us a daughter from China named Hope. The children were all gifts. The special needs were secondary gifts. So He does not show us the beginning from the end. Instead He gives builds our family, and He says, “It is the Lord who goes before you. He will be with you; he will not leave you or forsake you. Do not fear or be dismayed.” Deuteronomy 31:8. Don’t look at a child’s disabilities and say, “We could never handle that sort of life.” Of course you couldn’t. But there is so much more going on in adoption than matching needy children with able, providing parents. 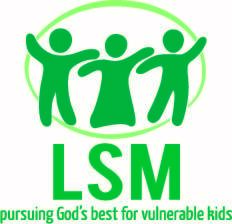 I believe that God sovereignly chooses to bring these special children into our lives, not so we will rescue them from their disability, but that through their disability, He may rescue us from ourselves. That through their weakness, we would see a picture of the gospel, recognizing our own inability and utter dependance on His amazing grace. That’s my story. I hope it will become your story too. Thank you, Greg, for taking the time to answer these questions. 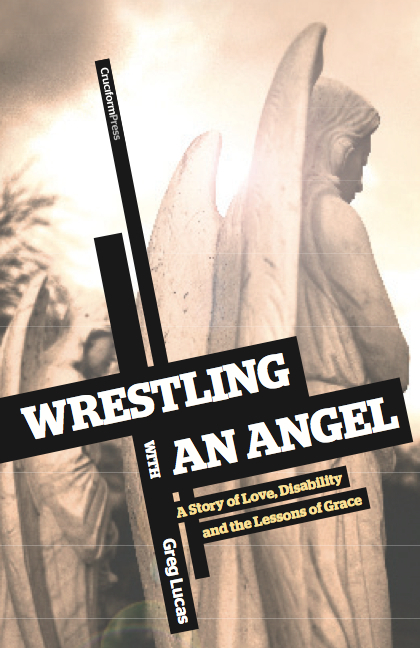 You may purchase Wrestling with An Angel: A Story of Love, Disability and the Lessons of Grace from Cruciform Press. Read endorsements of Greg’s book.